To continue with our celebration of Women’s History Month, we’re honoring HMH author Ann Petry – the first African American woman to sell more than one million copies of a book! 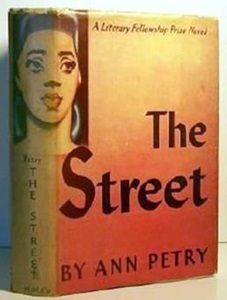 The title of Petry’s hugely successful and very first novel was The Street, a story about a single mother and her son living on 116th street in Harlem during the 1940s. Prior to The Street, Petry published two short stories, one of which caught the eye of Houghton Mifflin. Petry was born in Old Saybrook, Connecticut in 1908. Her father was a pharmacist, and her aunt, Anna Louise James, was the first woman pharmacist of color in Connecticut. Petry also became a pharmacist, graduating from the Connecticut College of Pharmacy in 1931, even though she knew that she wanted to be a writer. 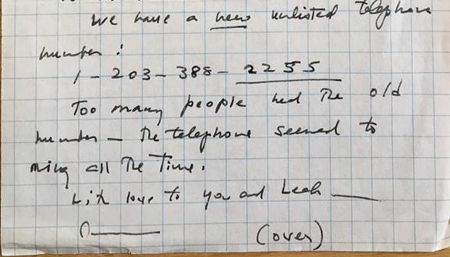 She kept writing while working in the pharmacy, and when she married George Petry, an author of detective novels, they moved to Harlem and she began her writing career at the Amsterdam News. Following the success of The Street, Petry published two more novels, A Country Place in 1947 and The Narrows in 1953, as well as a collection of short stories titled Miss Muriel and Other Stories in 1971. Additionally, Petry also published four children’s books with another publisher, Thomas Crowell. Houghton Mifflin reissued The Street in 1992. Petry agreed to do publicity for the reissue and received praise from younger African American writers, such as Alice Walker, Gloria Naylor and Terry McMillan. To the right is Petry’s publicity photo from 1992. Petry died in 1998, but The Street lives on.If you’re ever in Old Saybrook you can still visit the James Pharmacy and see a small historical display about her family and their contributions to Connecticut and the world.